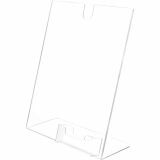 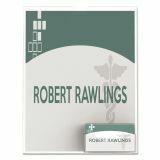 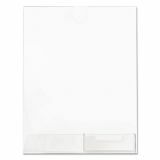 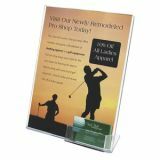 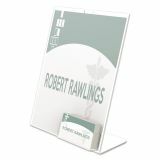 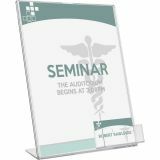 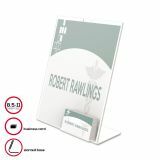 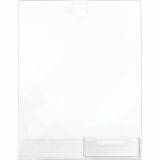 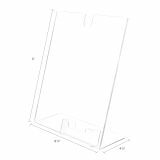 deflecto Superior Image Slanted Sign Holder w/Business Card Holder, 8 1/2 x 11, Clear - Slanted sign holder with business card pocket saves space while promoting literature. 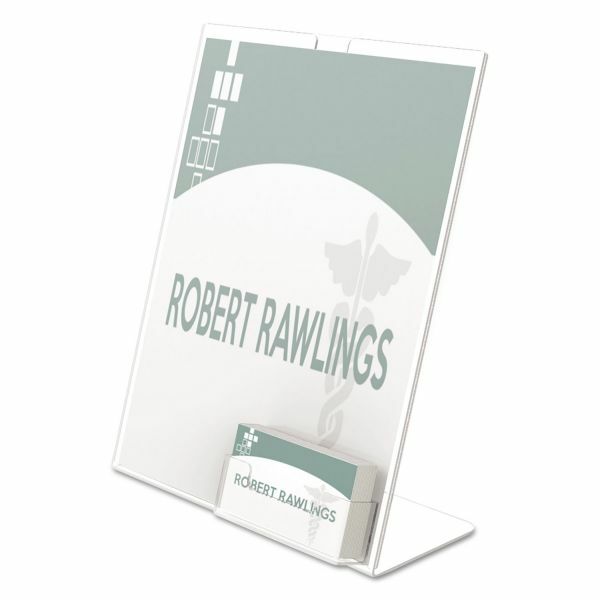 Top entry allows access to change sign as needed. 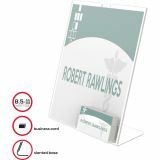 Sign holder is sealed on bottom and sides to keep literature from falling out. 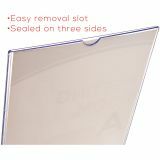 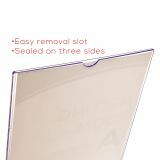 Polished edges of the clear plastic offer a quality look.